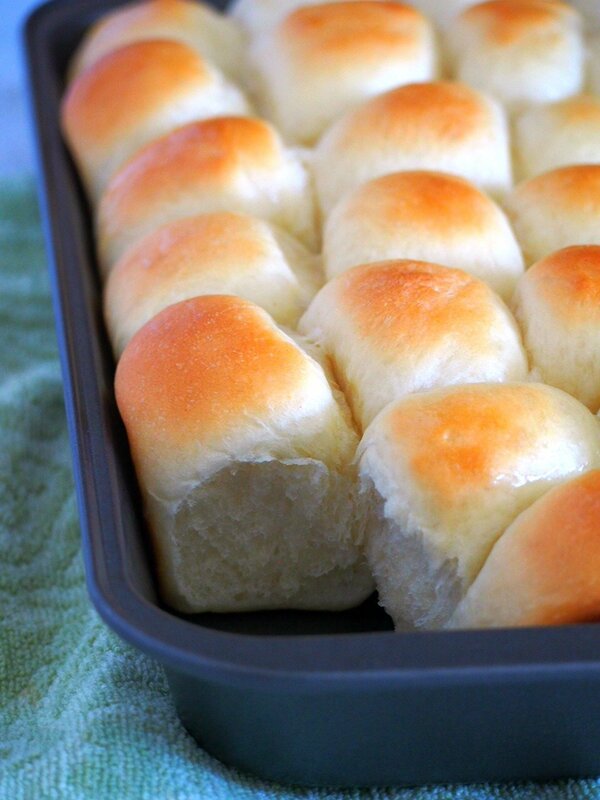 Make these delicious Hawaiian Rolls at home. 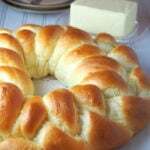 They are fluffy, slightly sweet and buttery making them perfect on their own, with a pat of butter or as a side to your meals. 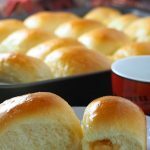 Oh, Hawaiian Rolls! How my heart was swept away when I took my very first bite. We were in a short vacation in the US and those unassuming, plain-looking humble buns in orange packages took me by surprise. 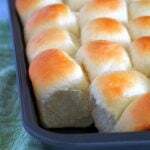 They are nothing like any dinner rolls I have tasted before. 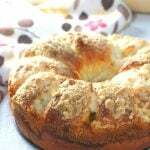 So naturally, I thought they will make nice baking subjects. And for the info, we don’t have these Hawaiian Rolls in Canada. Which is sad because I would hoard them by the crates if ever I find them. So after a number of Hawaiian Rolls baking fails, and pounds and pounds of dough that went straight to the garbage, my version of these buns has come to the light. And they are delightfully fluffy, a little sweet and ultra soft. I am in love! In a mixing bowl, combine yeast and warm milk. Let the mixture stand for 5 minutes or so, or until it is foamy or frothy. Add in the pineapple juice, sugar, salt, melted butter and eggs. Stir everything with a wooden spoon. Now add the 4 cups of flour, one cup at a time, stirring after each addition. This will be a sticky dough at this point. Sprinkle just enough of remaining 1/2 cup of flour, while stirring, until the dough gathers in the center. Turn the dough onto a floured board (using your remaining flour), and knead the dough for 6-10 minutes or until the dough is smooth and elastic. If you are new to kneading, check out my simple guide and how to knead bread dough. 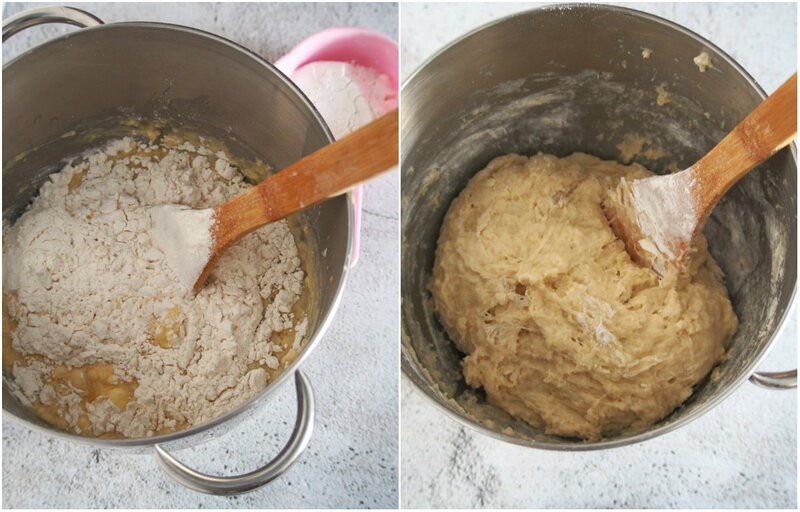 Shape the dough into a ball and place it in a bowl. Cover it with a clean kitchen towel and let the dough rise for 1 to 1 and 1/2 hours, or until the dough is doubled in size. Meanwhile, grease a 9×13 inch baking pan. After rising, gently punch the dough down and divide it into 20-23 equal portions. Shape each portion into a smooth ball and repeat with the rest of the portions. 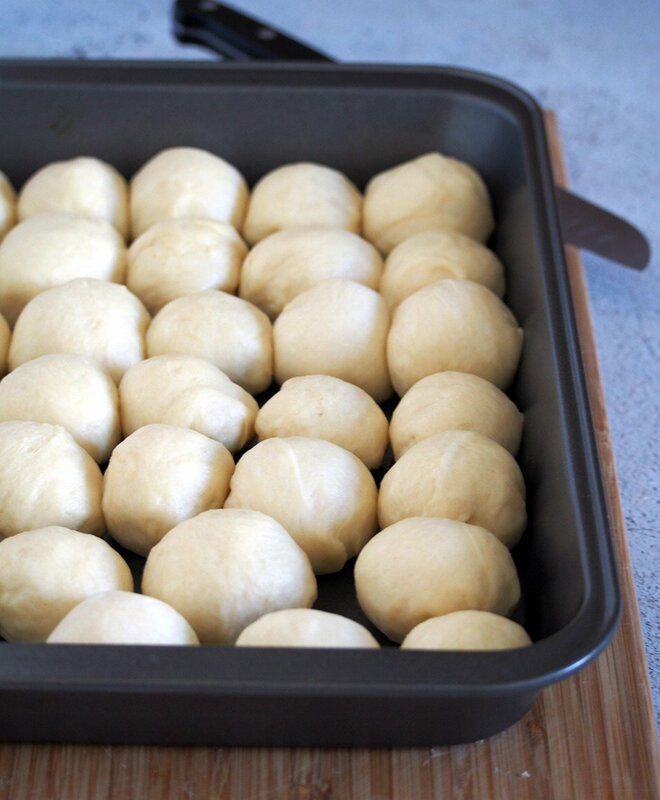 Arrange the shaped dough balls close together in the greased baking pan. Cover the pan loosely with a clean kitchen towel and let them rise again for 1 hour, or until they are puffy and touching each other in the pan. Preheat oven to 350 F. Brush the buns with milk. Once the oven is at the 350 F, bake the rolls for 16-20 minutes, or until they are golden. And here you have it- the tray of victory. 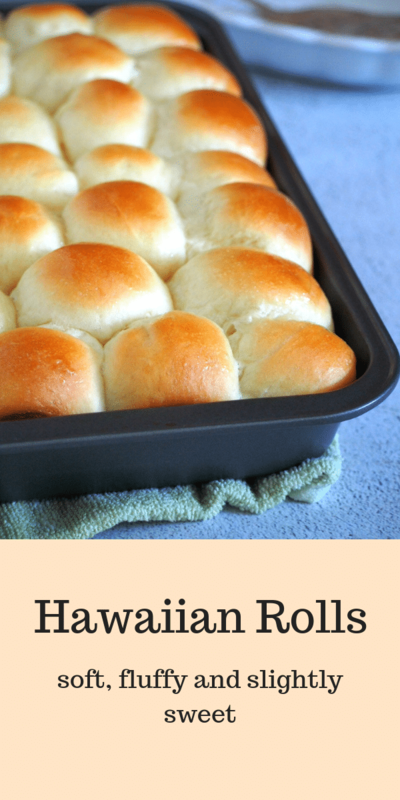 Pass these buns around while they are warm, fresh and delicious right out of the oven. Freshly baked buns are a luxury, you know. But I know you know that. So go ahead baking buddy! Roll up your sleeves. We live for that amazing aroma of bread baking in the oven. Happy baking! 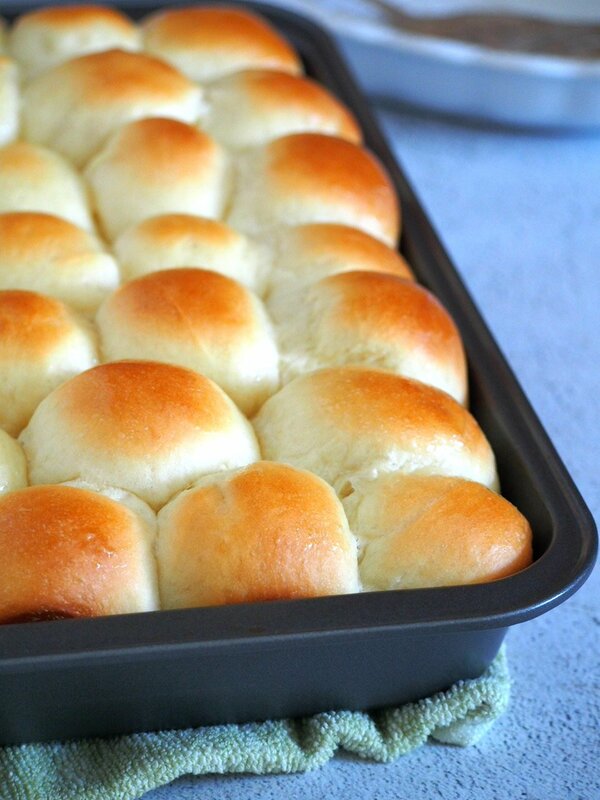 Hawaiian Rolls are fluffy buns that are slightly sweet and buttery. They are delicious on their own, with a pat of butter or jam, or as a side to your meal. In a mixing bowl, combine yeast and warm milk. Let the mixture stand for 5 minutes, or until it is foamy. Add the pineapple juice, sugar, melted butter, salt and eggs. Stir everything with a wooden spoon. Add 4 cups of flour to the bowl, adding 1 cup at a time and stirring with a wooden spoon. Stir until all the ingredients are incorporated. Sprinkle just enough of the remaining 1/2 cup of flour, still stirring, until the dough gathers in the center of the bowl. You won't need all of the remaining 1/2 cup. Turn the dough over onto a lightly floured board. Knead the dough until it is smooth and elastic, about 6-10 minutes. 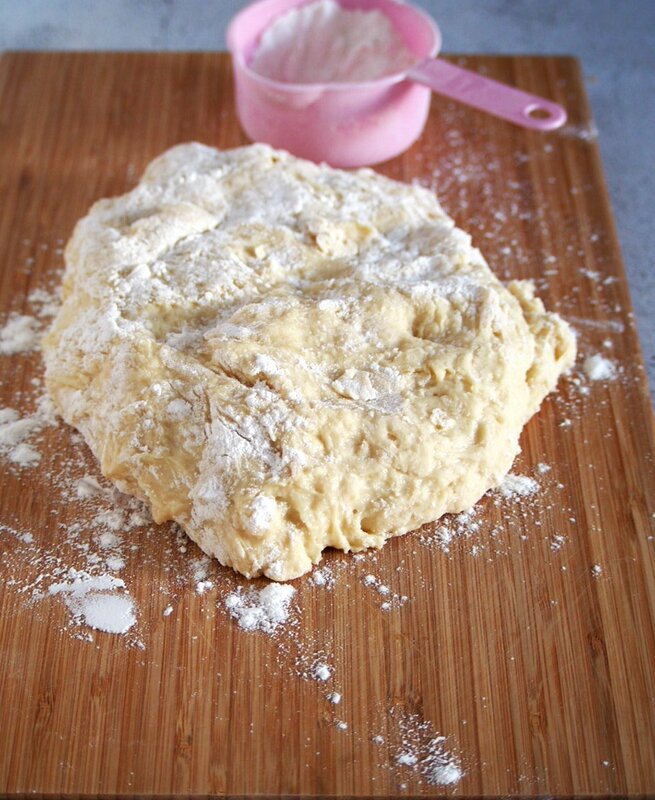 Dust your surface and your hands with flour as needed to help with the stickiness while kneading. 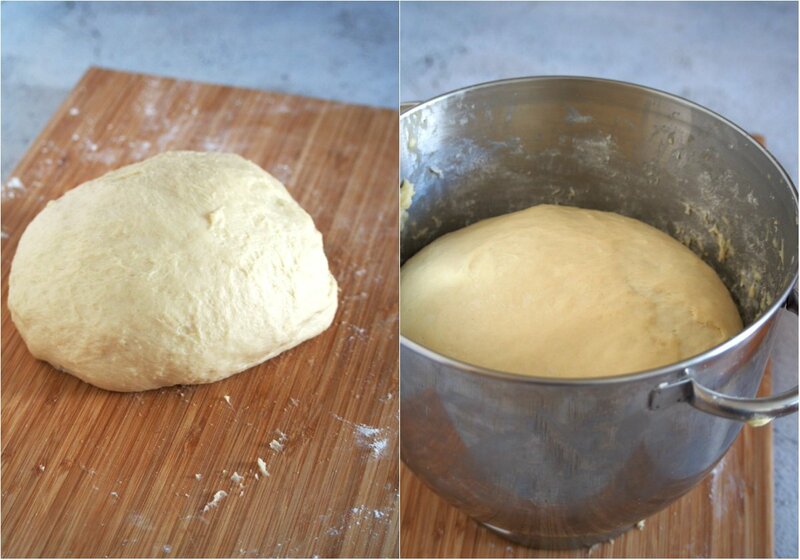 Gather the dough into a smooth ball and place it in a bowl. Cover the bowl with clean kitchen towel and let rise for 1 and 1/2 hours to 2 hours or until the size is doubled. Meanwhile, grease a 9 x 13 inch baking pan. Gently deflate the dough and divide to 20-23 equal portions. 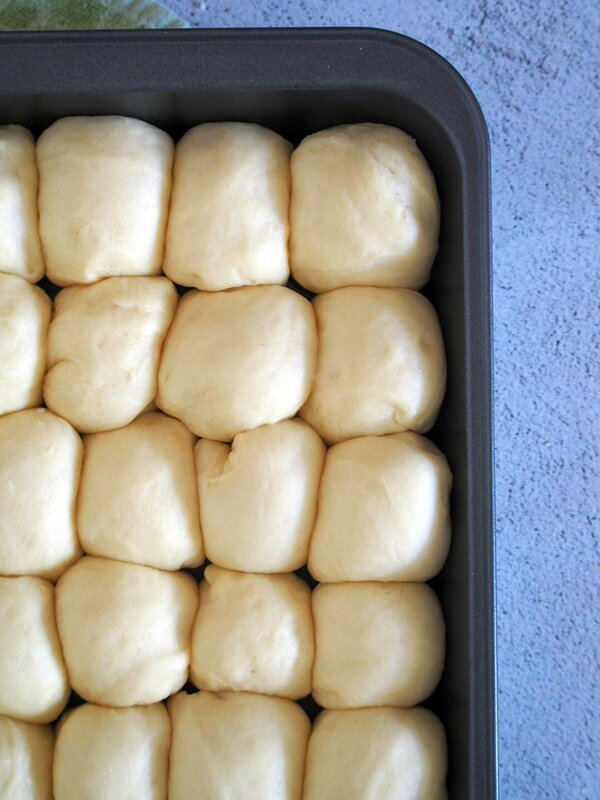 Roll each portion into a smooth ball and place it in the prepared baking pan. Repeat with the rest of the portions. 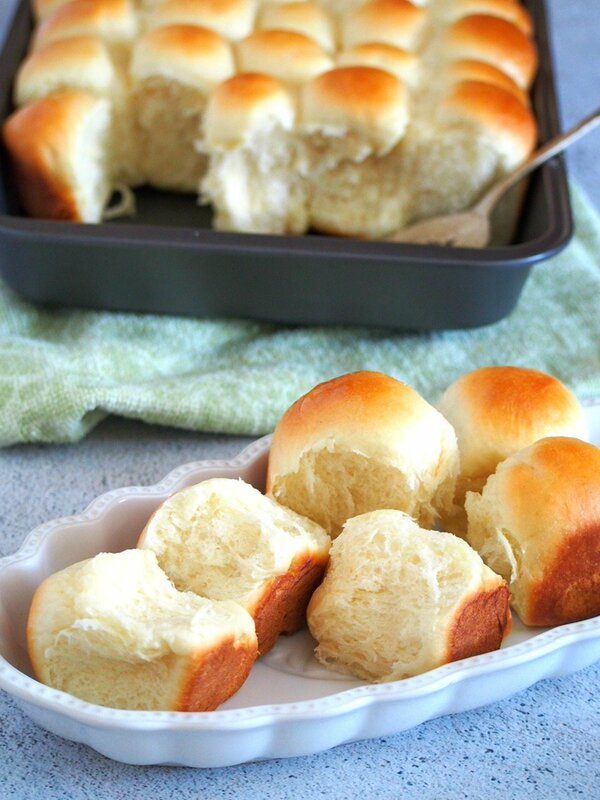 The rolls should be placed close together in the pan. Cover them loosely with a clean kitchen towel. Let them rise again for 1 hour. Preheat oven to 350 F. Brush the tops of the buns with milk and bake for 16-20 minutes, or until tops are golden. Store leftovers in a tightly covered container. 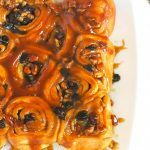 Re-heat buns in the microwave, if desired. I have never heard of Hawaiian rolls before but I sure want a couple. They look so fluffy and comforting. These look so good! 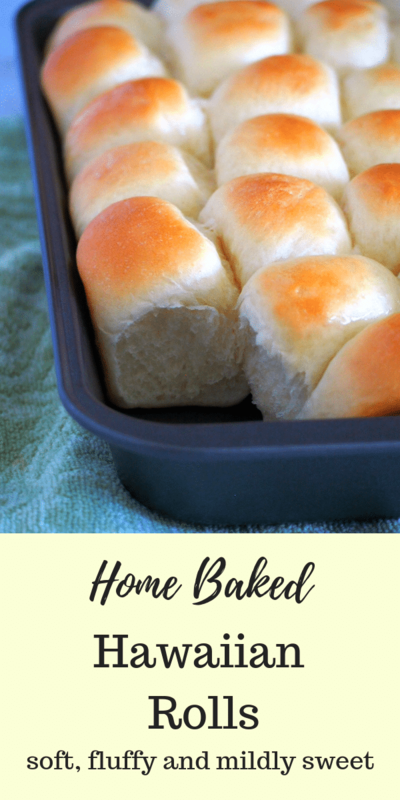 I love a good roll and hawaiian rolls are so delicious with their subtle sweetness from the pineapple juice! Exactly! I love how the sweetness is so mild yet so pleasing! These are so easy and they are amazing, Megan! These are so beautifully golden – love that little pop of sweetness, too!